An elderly woman named KANG Sang-hee lives in Aewol-eup, Jeju City. Her husband KIM Bong-su was killed 65 years ago during the April 3 Incident. Gangjeong Village, which became the center of a controversy over a Naval base, shows that there is no difference between the April 3 Incident and the Naval base issue. The release of Jeju Prayer is supported by the Korean Film Council to promote cinematic diversity. The film will be released in April. In addition, the film advanced into the Korean competition section of the 2012 Jeonju International Film Festival, took home the Butterfly Prize during the Cinema Digital Seoul Film Festival and entered the competition section of the DMZ Korean International Documentary Film Festival. This film offers songs of Jeju Island that we must listen to in the spring of 2013, the 65th anniversary of the April 3 Incident. The April 3 Incident of Jeju Island became a hot international issue through Jiseul, an O Muel film which picked up a Grand Prize at the Sundance Film Festival. Jeju Prayer breathes a long sigh and shows the sorrow of Jeju Island and its people who were hurt by the incident. In addition, the film ponderously depicts on-going tragedies surrounding Jeju Island including the construction of the Naval base at Gangjeong Village. In 2007, the Ministry of National Defense selected Gangjeong Village as the home to a Naval base. The ground was broken in 2010. Local residents and civic groups pulled out all the stops to stop the construction work. But the project is still underway. 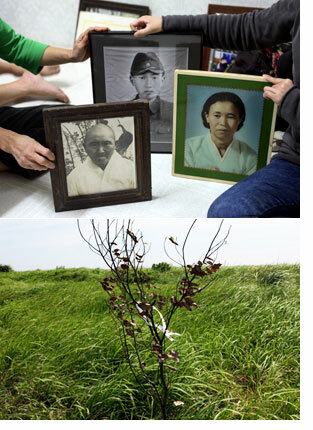 With its focus on KANG, Jeju Prayer shows that Jeju Island is a beautiful tourist attraction but at the same time a big cemetery and land of hurt souls who were never treated. IM Heung-soon, the director, tells the true heart-aching stories of Jeju Island and Jeju people through memories of sad history covered with romantic scenes of the island. By doing so, Jeju Prayer delivers a strong message that we must and can heal the hurt souls of the April 3 Incident.